This modest prom dress 19018 will have all eyes on you at your prom. Designer Flair uses a rich mikado material that flows into a perfect a line silhouette. 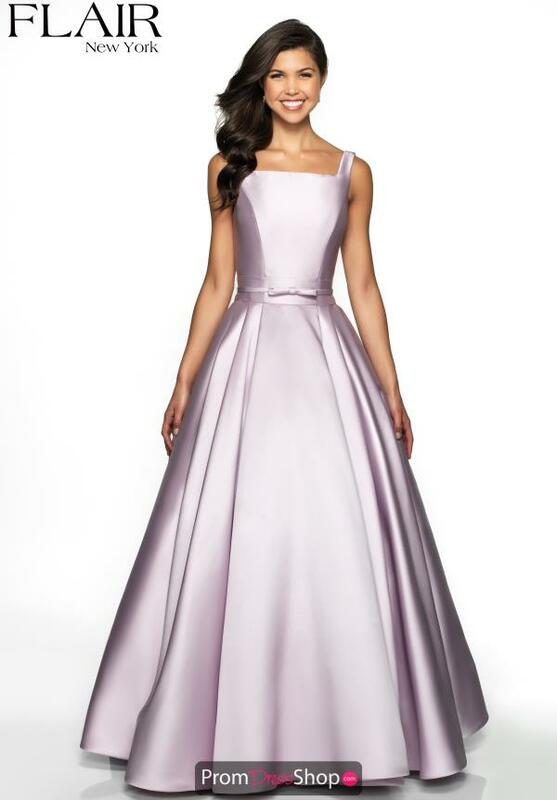 This sophisticated style features a square high neckline and a bow waist belt to add unique and fun touches. Utilize the pockets to ensure your special night is as fun as can be.